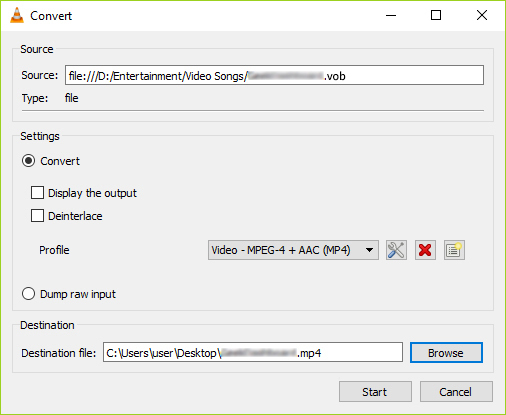 Want to convert VOB to MP4 easily? Try the best MP4 converter below! Q: How Can I Convert VOB to MP4? If you're looking for ways to convert VOB to MP4 on Mac or Windows PC, you must have come across similar problems, either to play VOB files on any Apple devices, edit VOB movies in Mac video editors or share VOB videos to online video sites. Actually, you're lucky since there are many tools that can convert VOB files to MP4. Here a first-class tool, Aimersoft Video Converter Ultimate is recommended as the best VOB to MP4 converter. With it, you can convert VOB video to MP4 (MPEG-4) fast while keeping the original video quality. The whole conversion process is as easy as 1-2-3 following the intuitive interface. Apart from MP4, it can also convert VOB to AVI, WMV, MOV, M4V, MKV, FLV and more popular video formats. Moreover, it provides the MP4 video presets with the best settings for iPhone, iPad, iPod and more. Just get this smart converter and follow the steps below to convert VOB movies to MP4. 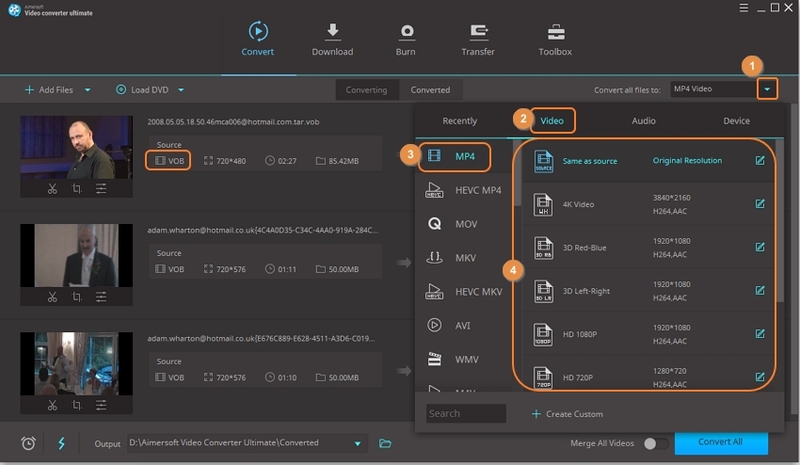 Firstly, free download and install Aimersoft Video Converter Ultimate on your Windows PC or Mac. Now open it. 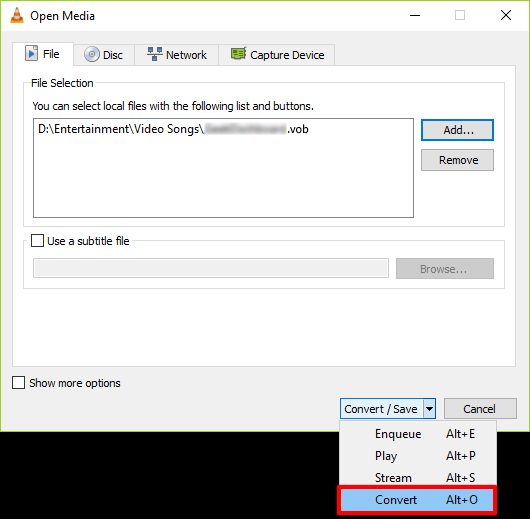 To add the VOB files, you can directly drag the VOB files you want to convert to the main interface of this VOB to MP4 video converter. 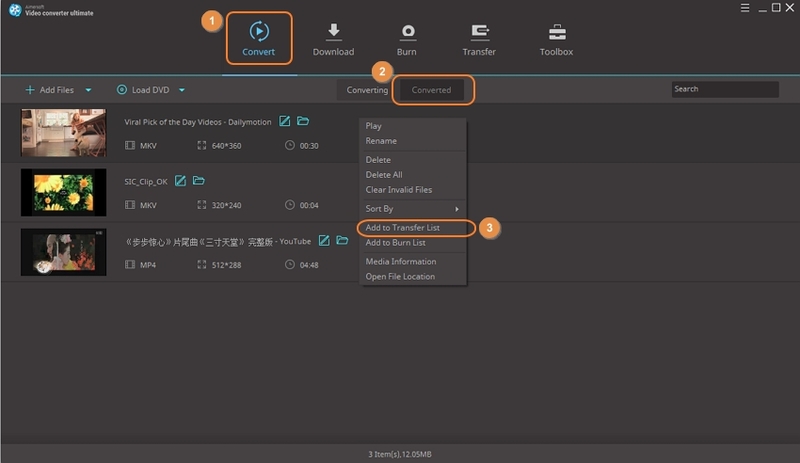 Tips: Before the conversion, you can edit the VOB movie by clicking the Edit button beside each video clip. Video editing functions like Crop, Trim, Rotate, Add Watermarks, Adjust Video Effects, etc. 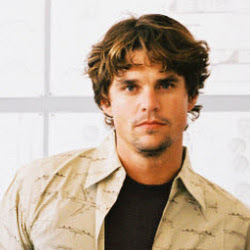 are provided, allowing you to get the exact part and effect you want. Next, navigate to the format list and click Video to set MP4 as the output file format. If you want to convert VOB to MP4 on Mac for iPhone, iPad, iPod, iMovie, Final Cut Pro, iDVD, etc., you can directly browse to find any video preset as the output format. In this way, you can convert VOB files to fit your portable media players and video editing programs on Mac. Once you're sure all the settings are OK, click the "Convert All" button to start converting VOB format to MP4. It will take several seconds to finish the conversion. When it completes, you can find them on "Converted" tab! Just enjoy them! Aimersoft Video Converter Ultimate also allows you to transfer the converted videos to iPhone, iPad, Android phone or hard drive. Let' see how to do it. Connect your iOS or Android device to the computer with an USB cable. When you have converted VOB to MP4, click the "Converted" tab. Right click on the videos and choose "add to Transfer List". Swith to "Transfer" tab. Click the "Transfer All" button to move the videos to your phone. 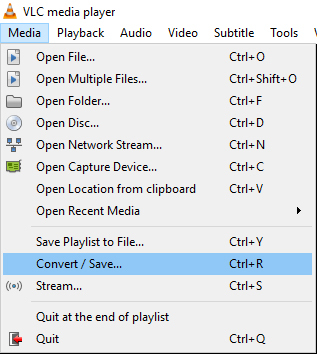 Step 1: Start by launching VLC Media player and click on “Media” option followed by choosing “Convert/Save” option from the program. Step 2: This will load Open Media dialog box. Simply, tap on the “Add” button to import the desired file followed by “Open”. Now, tap on the “Convert/Save” button or hit “Enter” from your keyboard followed by selecting the “Convert” option. Step 3: From the following screen, opt for the desired file format, i.e. MP4, from the drop down next to “Profile” section. After this, click on “Start” button to kick-start conversion. Notice the progress indicator until it reaches the end that is when your VOB file will be converted to MP4. Wondershare media.io is one of the feasible converter that allows converting of files in a speedy manner. It supports compatibility with 1000+ files formats such as the MP4, WAV, VOB, MOV and several other file formats. Media.io can easily convert VOB file to MP4, just execute the following guide in the said order. 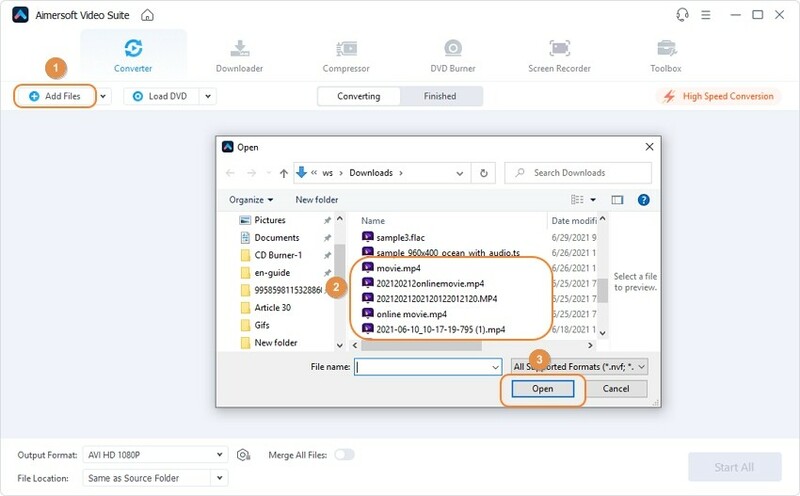 Step 1: Head on to the main website, https://www.media.io/convert/vob-to-mp4.html and import the desired set of files by tapping the “+” icon or use the “Add more file” for more than 1 file. 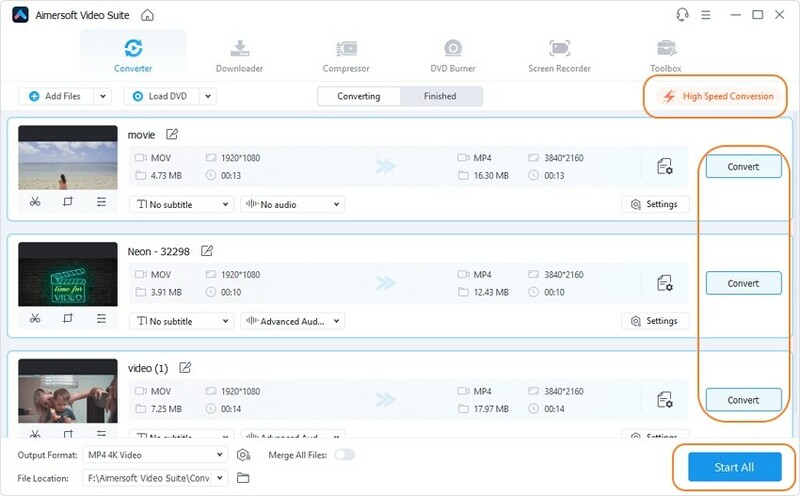 You’ll be asked to opt for the output format, just opt for “MP4” file right beside the media.io icon. Step 2: Now, proceed with conversion by pressing the “Convert” option. Just wait for some moments and you’ll fetch the output format. Don’t forget to tap on “Download All” tab! Step 1: First of all, add in the desired file(s) by opting for “Choose Files” option from the main page. Then, select “MP4” as the output format under the “Choose format to convert to” drop down menu. Step 2: In order to get the converted file, simply enter the mail id over the available text field. Lastly, hit the “Convert” tab and give the due permissions to fetch the file. The last in our list is Convert.Files- a great option that allows users to convert the file online. It is compatible with the popular file formats such as MP4, AVI, FLAC, MOV etc. Users can easily convert VOB file to MP4 too. 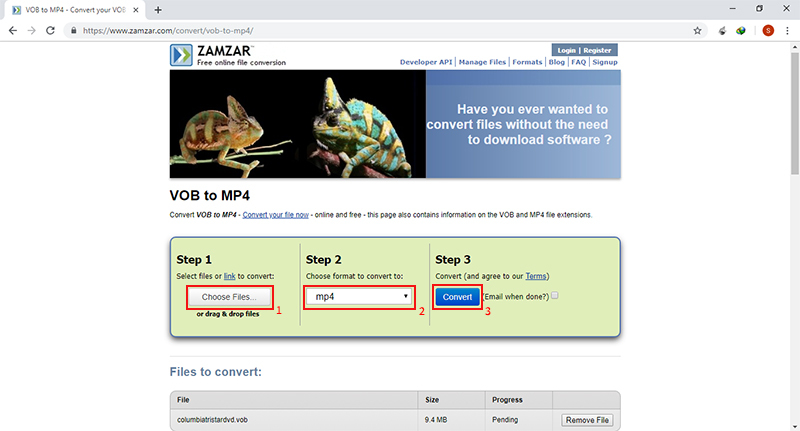 Just follow down the step by step guide for convert for free the VOB file to MP4 using the Convert Files converter. Go to the main website and start with the “Choose a local file” option, browse the file and insert it on the program. Optionally, use the “or download it from” option. Next up, select “MP4” from the “Output format” drop down menu and hit the “Convert” tab. In a nutshell, Aimersoft Video Converter Ultimate is a safest deal that one can get. Packed with advanced set of features, it can convert VOB to MP4 file in a hassle-free manner. Moreover, it renders a good streak of advanced features. Here is a quick comparison between the VLC media player, Aimersoft Video Converter Ultimate and the online Converter.